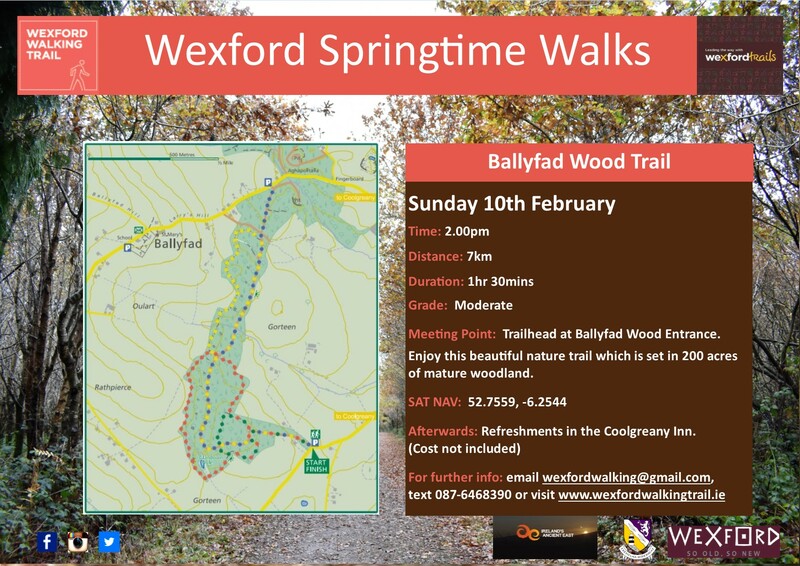 It’s time to get back into the spring of things here in Wexford. The days are getting longer and the weather lovely and crisp. 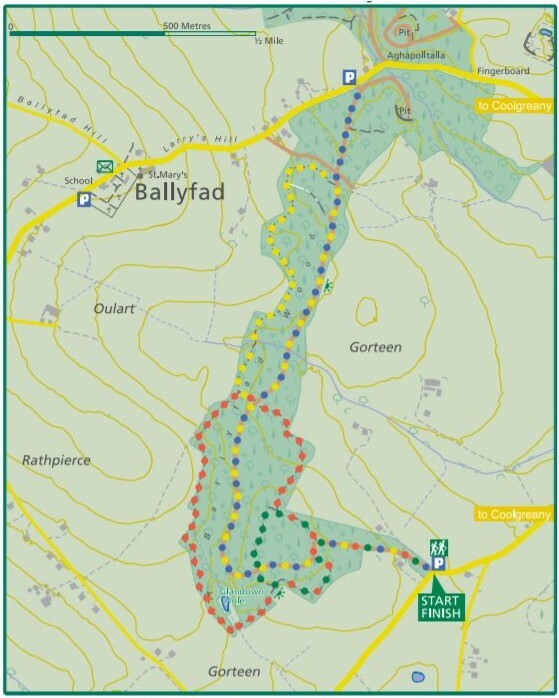 Join us for a walk in the beautiful mature woodlands in Ballyfad, catch a glimpse of nature reawakening and hear about the interesting history of the area. Bring family, friends and neighbours along and walk Wexford with Wexford Walking Trail. Walk at your own pace – you will enjoy it!